Are you ready for IFRS 17? Financial Reporting Standards have changed many times in the past, but not like this time. This change will bring about a wide range of opportunities for insurance companies that prepare for the new standard. Many companies have a tactical plan to respond to the requirements. But the best success will be realized by companies that form a broader reporting strategy that includes IFRS 17. Instead of responding, they’ll already be prepared to take advantage of the new rules. They’re partnering with businesses to find the right solutions. Where does your company fall? IFRS 17 was issued in May 2017 by the International Accounting Standards Board (IASB). It will be effective as of 1 January, 2021. Under the new standard, the value of insurance contract liabilities will be calculated using the present value of future cash flows, taking into account risk and the time value of money. IFRS 17 also requires the presentation of a new income statement with revised definitions of revenue and additional disclosures. It will have accommodations for several specific contract types and measurement approaches. 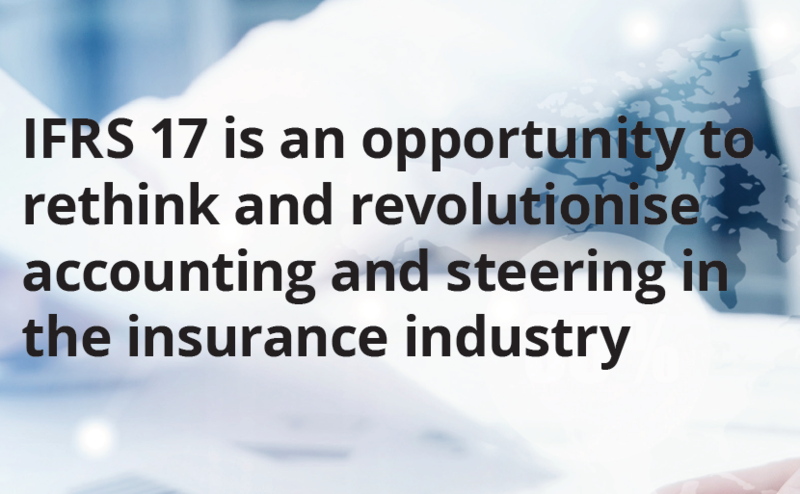 IFRS 17 is being released to solve a wide range of issues faced in insurance accounting. It will become the reality in over 120 countries where IFRS is the national accounting standard. In today’s world, insurers face a number of specific issues. Developing a daily balance sheet is nearly impossible. Analytics have been difficult to calculate in the past due to lack of automation. Lack of granularity has made calculating projections for financial planning difficult at best. Creating simulations based on this data provides sketch outcomes at best. Fortunately, IFRS 17 can be an opportunity to vastly improve the situation for insurance companies willing to embrace it and make changes to accommodate it. Fast continuous closing makes it easier to develop the reports you need through accounting automation. Granularity makes it much easier to form accurate projections of what the future may hold for the company. Advanced analytics allow you to develop reasonable “what-if” scenarios to discover what a particular approach will render. By partnering with an experienced digitization firm, you can take your company from struggling through a new standard to using the new standard to improve company outcomes. Swiss Re has partnered with SAP to develop a better way of responding to increasing demands from regulators. The partnership is aimed at creating a specialized subledger to support insurance contracts and financial agreements based on SAP S/4 HANA. It will allow the subledger to have specialized functionality capability. The IFRS 17 standard change may seem a long way off. However, by the time you get your strategy in place, it will be here. Will your company face the challenge alone? Will it form a strategic partnership with an experienced company to succeed? At SAP, we’ve spent years helping companies adapting to the changing digital environment. Our partnerships have formed some of the most dynamic opportunities found in the insurance industry. We can help your company adapt to the changes of IFRS 17. Take advantage of the change by forming a strategic partnership with SAP today that is complemented by a strong partner ecosystem ready to help you to achieve your strategic vision. Download the white paper created by Deloitte, KPMG and ifb on the IFRS 17 standard and see where tomorrow will take you. For more information regarding SAP’s Insurance Suite, please visit SAP for Insurance.